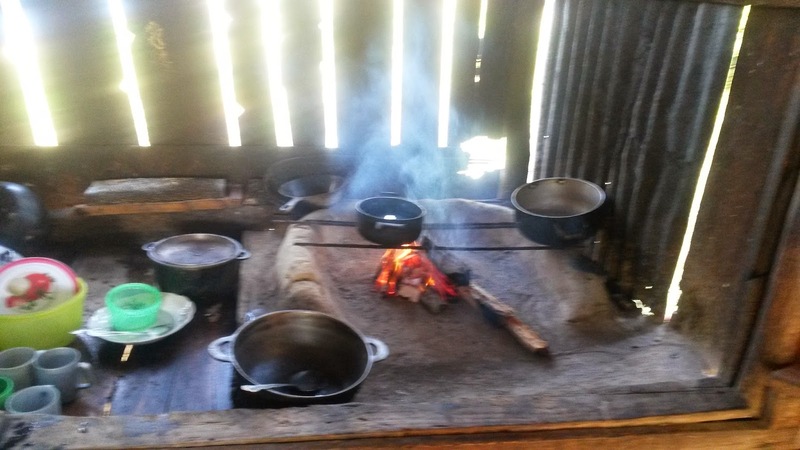 Many homes in Nicaragua do not have a gas nor electric stove on which to cook. Some do, but prefer to use a wood stove to cook certain things on, so they have both. 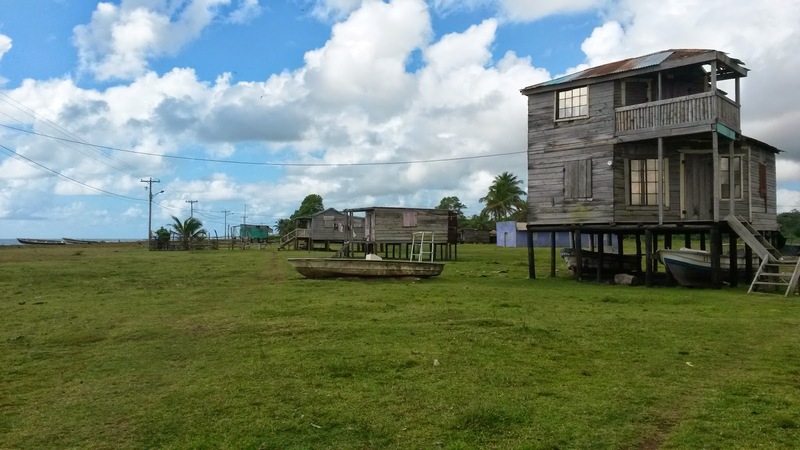 Its a common sight, particularly in Miskito communities to see two buildings at each home, one is the main house and the second is the kitchen, where they have a wood fire on which to cook so they don't fill the entire house with smoke. 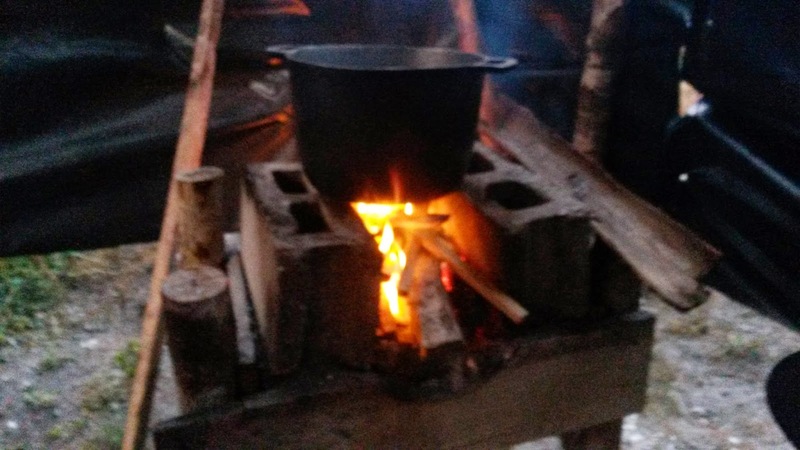 One reason to have a a wood stove to cook with in addition to a gas one is for cooking beans. Cooking dry beans takes many hours, and would be too expensive and impractical to cook using gas, so many families cook large batches of beans over a fire in order to save on gas. 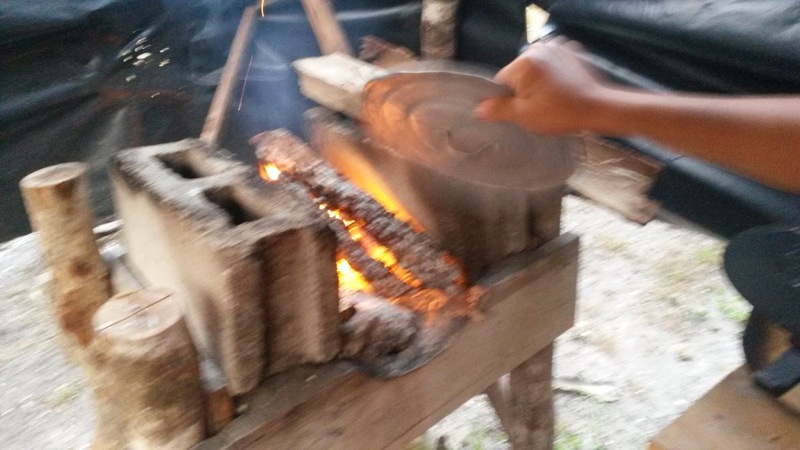 Below are some pictures and step by step instructions for starting and using a cooking fire. Your stove may look something like this. 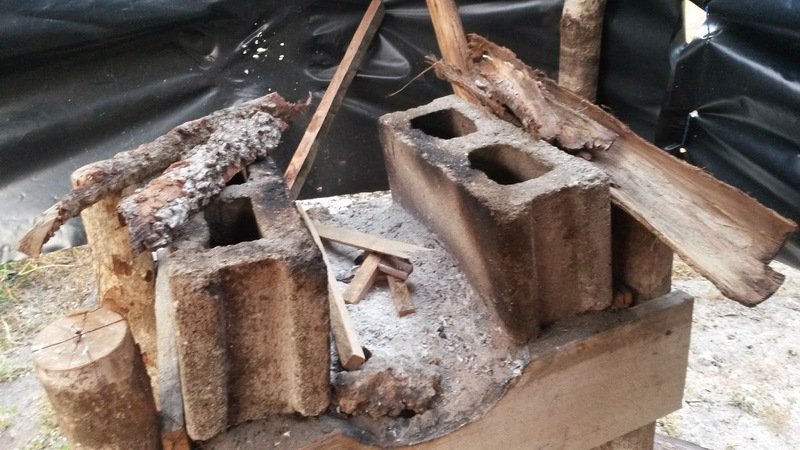 A wooden stand with a box on top filled with sand (to prevent the fire from spreading to the stand/box) and some concrete bricks to contain the fire and also to set a grill or a large pot on above the fire. Its also important to have airflow and easy access to the fire for adding/removing sticks. Just like starting any fire, start with a pile of small thin dry sticks or kindling, maybe some bark or paper scraps if you have them. 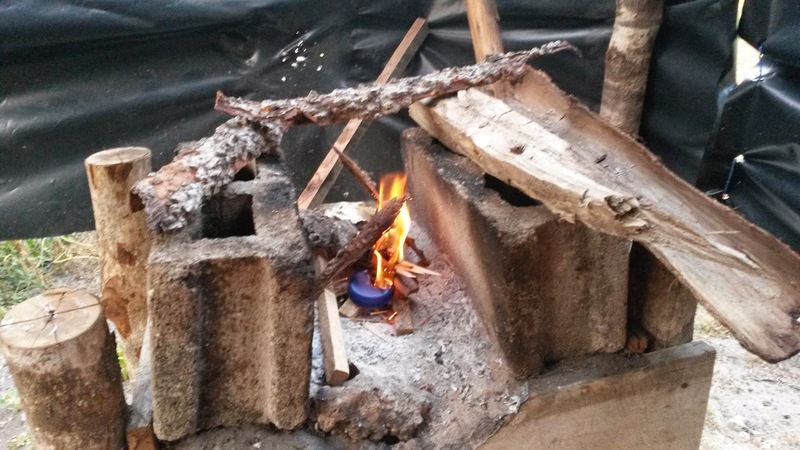 Its a common practice also to burn pieces of plastic to get it going, although you may prefer to stick with tree bark. Gradually add more until you have a decent flame going, then when ready put in some larger pieces of wood. Its good to use long sticks, so that one end can be burning and you can handle them by the other end to move them around without being burned. Fan the flames with a lid to get it nice and hot. And now you're cooking with wood! This past weekend we went on a 4 day trip to work our most distant territories. 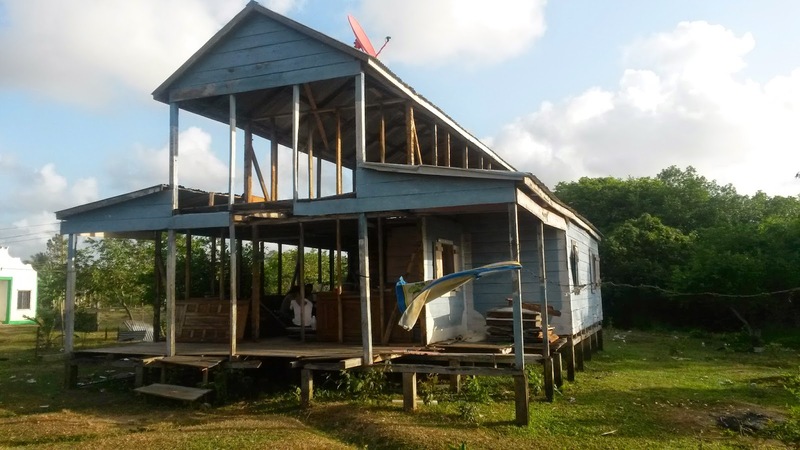 The Pearl Lagoon congregation technically has territory all the way until it meets up with the boundaries of the puerto cabezas congregations, so they asked us how far north we could realistically work. 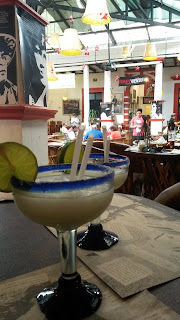 The answer was that we could reach as far as Karawala in the Rio Grande area, so that is where we went. We left at 5:00 AM and the trip took us about 4 hours to reach the first community. 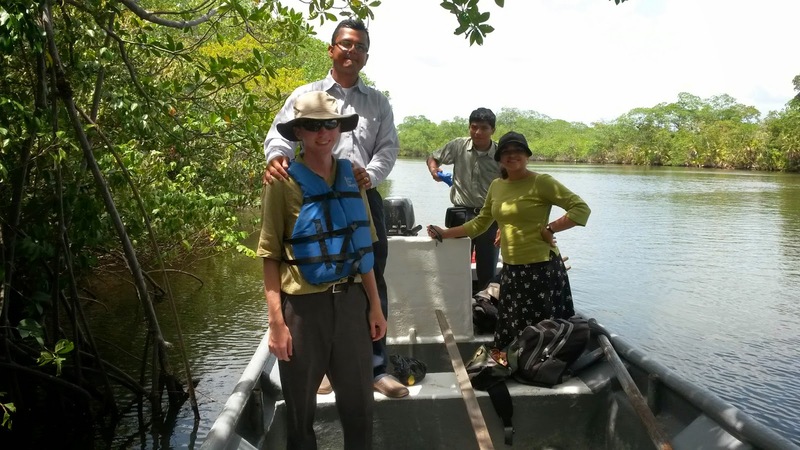 There are many towns here, mostly along the Rio Grande de Matagalpa river. We reached it by going to the top of the Pearl Lagoon, and then through the Top Lock lagoon and into the river. The weather was somewhat favorable but there were enough waves to make sure we were properly rinsed before arrival. 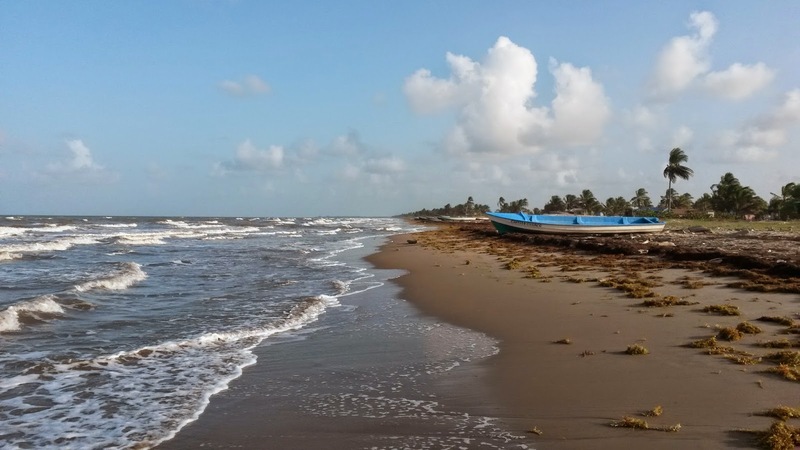 The first community was Kara, of which the primary language is Miskito, however the people also speak Creole and Spanish. We spent the day there, taking turns guarding the boat which we had parked under a tree on the shore. One of the rules that goes with a boat belonging to the branch is that we can never leave it unattended. I took the afternoon shift. Of course the one staying with the boat also gets to preach because people take notice of a new boat in town and come over to make conversation. After we finished for the day, we headed off to Walpa where we planned to spend the night. 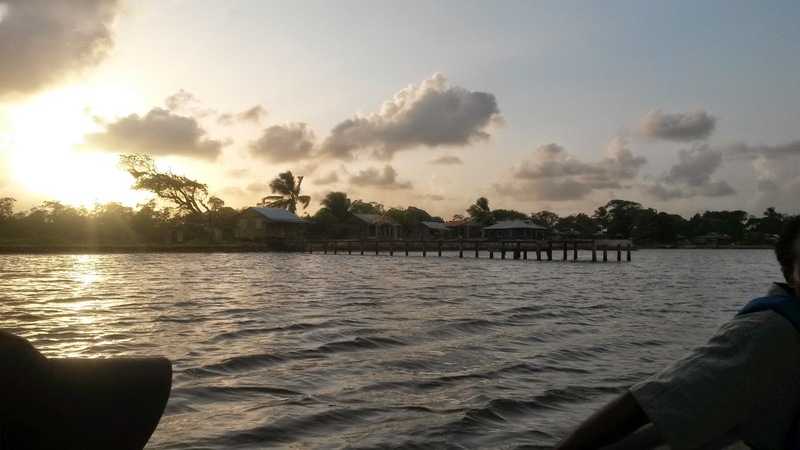 Walpa is another Miskito community, and on a previous visit a family living on the shore showed us great hospitality, and so we parked the boat in their front yard. They gave us the use of their kitchen, and also allowed us to sleep inside an abandoned house that they had been planning to tear down. Actually they offered us a bedroom in their house, but since we had tents the house was just fine. It had no walls but it still had a roof to protect from the rain. For the first day we had all brought our own meals, so I had my second serving of tuna sandwiches on coconut bread for supper. The next morning the brothers assigned to cooking for Satuday had prepared scrambled eggs and rice for breakfast, and rice with sardines for lunch. Luckily I had brough extra ramen noodles and bread, because it was at this point I learned that Nicaraguans generally do not eat supper, so no arrangement for a third meal had been made. Our territory for the second day, in the morning, was Walpa where we had spent the night. 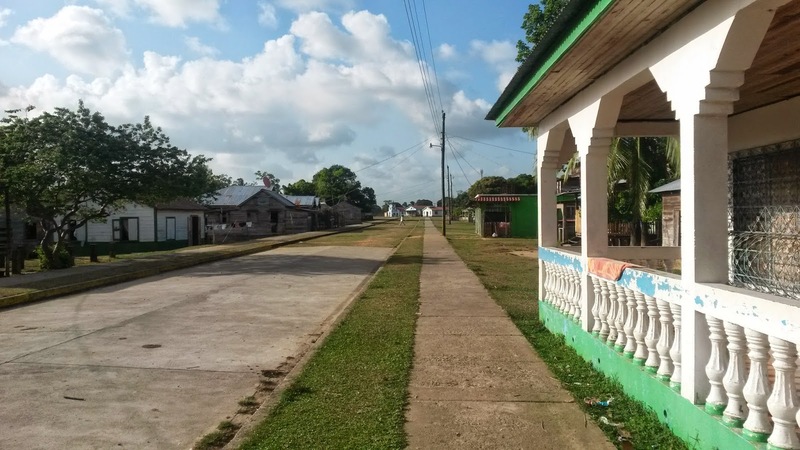 Walpa is a very quiet, peaceful town (one reason why we chose to spend the night here). Normally people have electricity, but at the point of our arrival the power had been out for 15 days and it was unknown when it would be back. People in Walpa get their water from wells, which was surprisingly clean. I used a portable filter and iodine drops before drinking it just to be safe though. After Walpa we went down the river to Sandy Bay Sirpi, which is a large town that faces the sea. Miskito people seem to have the custom of building their houses far apart from eachother, so all of these communities were well spaced out with fields of flat grass in between. 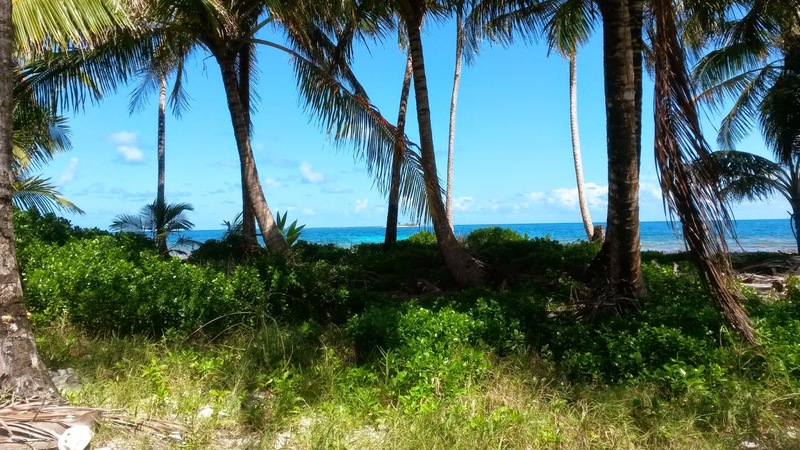 A brother who had been in the Miskito field for a long time commented that they also tend to plant coconut trees everywhere they go, so the coconut palm is almost like a "Miskito Flag". When we reached the side of Sandy Bay facing the ocean it was amazingly beautiful. 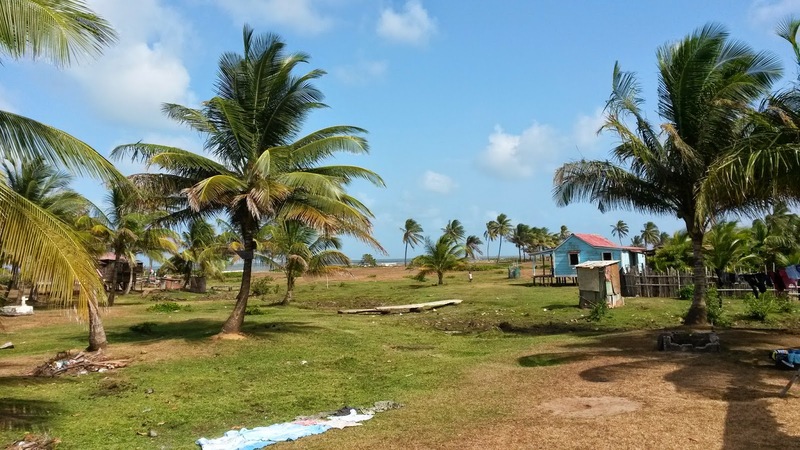 The area looked not unlike the east side of Corn Island, but a little (a lot) less developed. 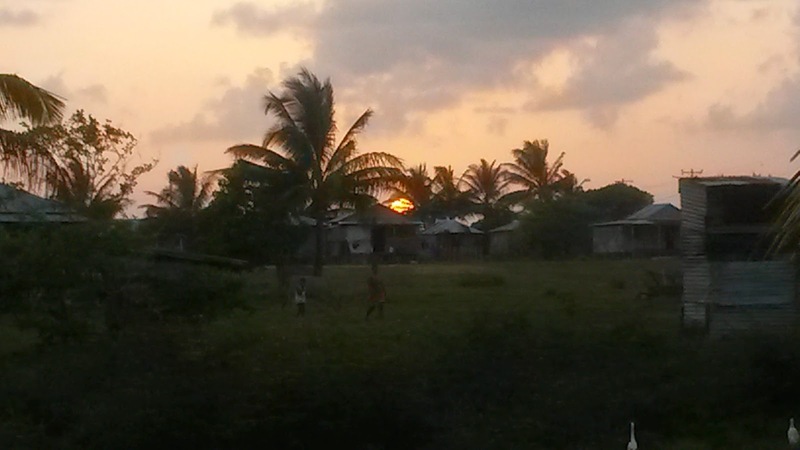 We finished just before sunset, which gave us time to make it back to Walpa before dark where we spent another night. Our next stop the following day was Karawala, the biggest and central community in the area. Karawala is notably clean and the houses although being basic (Board houses on posts, with some concrete) are well maintained. From what we could tell Karawala did not have municipal water, but it did have electricity (but not today, because they had the same problem as Walpa). 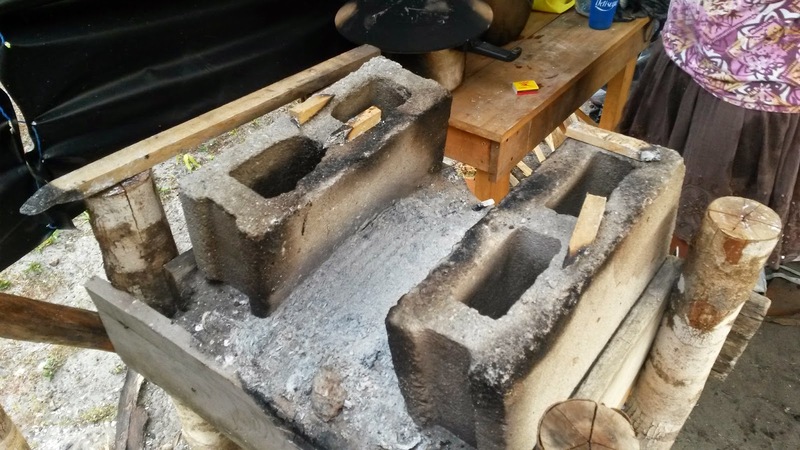 I was forced to use all the Miskito I knew during this trip, and it was exciting to see the results. One older man told the brother I was working with that he could understand some creole, but could not understand foreigner English (referring to me). I started my presentation in Miskito and his jaw hit the floor. He excitedly accepted literature after I mumbled through my sentences explaining the good news brochure (Gad Sturka Yamni nani ba). Miskito people have a custom similar to what we read about in bible times, that when someone waits in the town square in the evening, people will invite them to stay in their homes. This way, most of our group arranged to stay with a family near the wharf. Me and another brother volunteered to stay with the boat however. Because we were leaving all our supplies and fuel in the boat so that we could leave early in the morning, we wanted to have two people guarding it in the night instead of just one. The sand flies and mosquitos were a bit harsh, however the stars were magnificent. Consider how far out in the jungle we were, no cities within a days travel, and what communities were here had no electricity, and you can get an idea how bright the stars were. One could see without a flashlight even though it was a new moon. The next morning we left early on to go back to Pearl Lagoon. We were eager to get back to our own beds, but it was a fantastic service experience to witness in these communities. I finally had the opportunity to go to Set Net point, which is one of our more distant boat territories. It is just south of Tasbapauni. 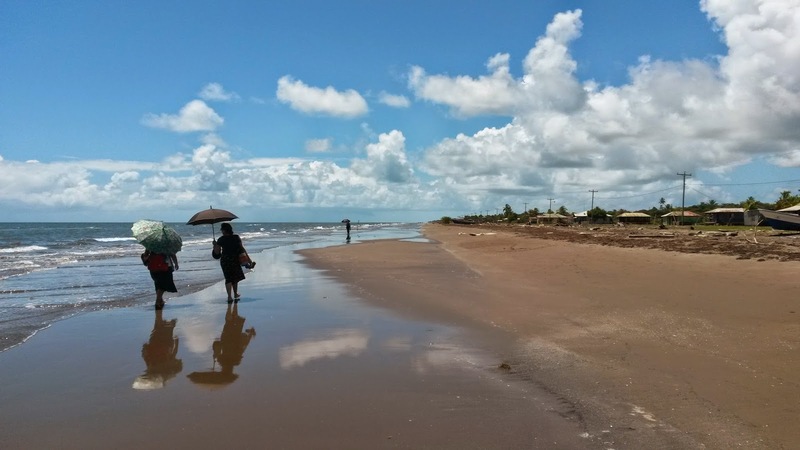 However the town of Set Net is not specifically on the Pearl Lagoon, instead it faces the ocean and has no access to the lagoon. This meant that we got to travel across the beautiful blue water of the Caribbean to reach the territory. The sea was fairly calm so it was a pleasant trip. 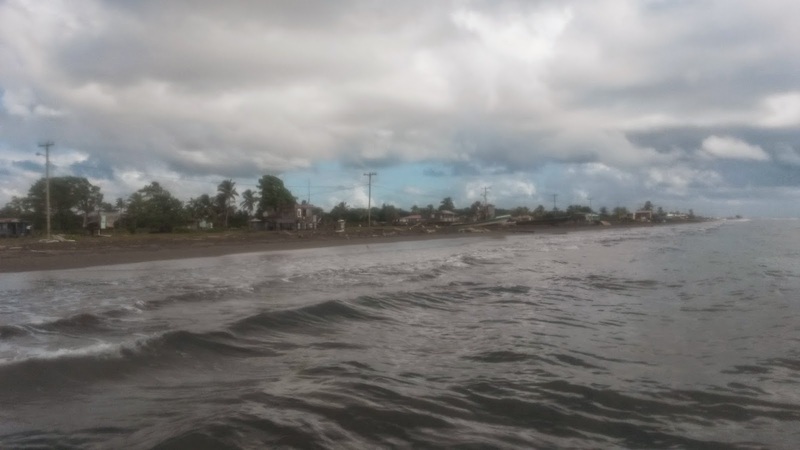 When we arrived we made a "surf landing" which means that we tied the boat to a buoy when we reached shallow water and waded onto the beach. Set net is also known for its wildlife, being surrounded by jungle and far from other communities. The area is said to have "tigers", but considering that people here often have different names for animals than we are familiar with it seems that what they call a "tiger" is either a jaguar or panther, which are both known to be in the area. We did see some tracks in the mud but I couldn't say for sure that they were from a big cat and not something else, like a large dog. 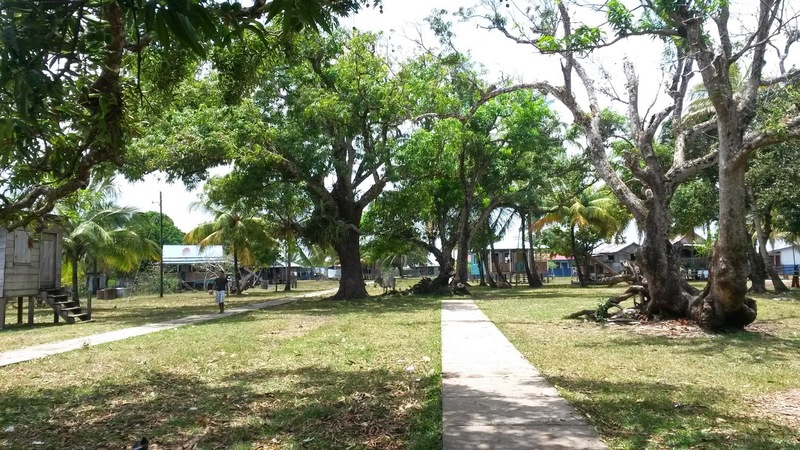 The people we spoke to were very friendly and welcoming, nearly all of them spoke Creole English. The insects however were not so friendly. Near the beach especially we encountered a larger version of the sand fly. the swarms were so thick you could clap your hands and kill 100 of them at a time. And yes they bite... Strong repellent is definitely a must. Many people were not home because of an event in Tasbapauni that they had gone to. 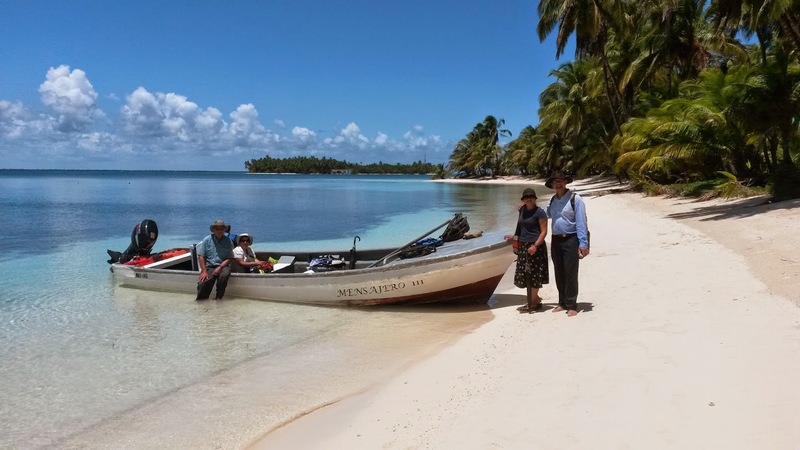 (Tasbapauni can be reached by land from Set Net via the beach) We finished fairly quickly with the memorial invitations, and went for lunch. Since the sand flies were so horrendous we couldn't eat our lunch in set net, so how convenient that the pearl cays are directly in front of set net's shore. 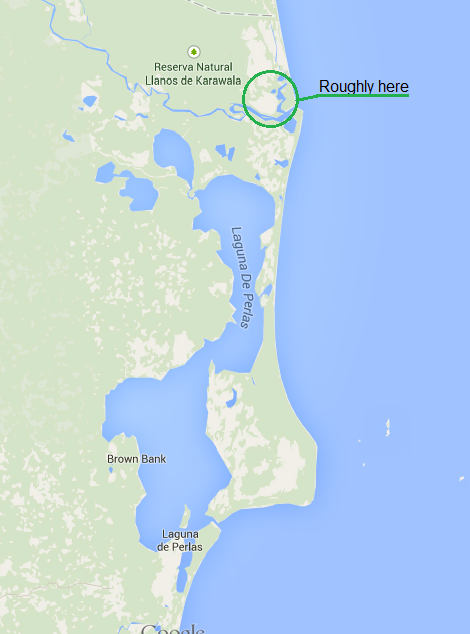 It took us about 5 minutes to reach Clark Cay which is completely free of the sand flies. This was the best time of year to visit the cays as well, the water is crystal clear and warm like a bath tub. So we just had to go for a little swim as well.